Worksession Meetings held the 1st Tuesday of each month. Town Meetings held the 2nd Tuesday of each month. The public is invited and welcome to attend Town Hall meetings. 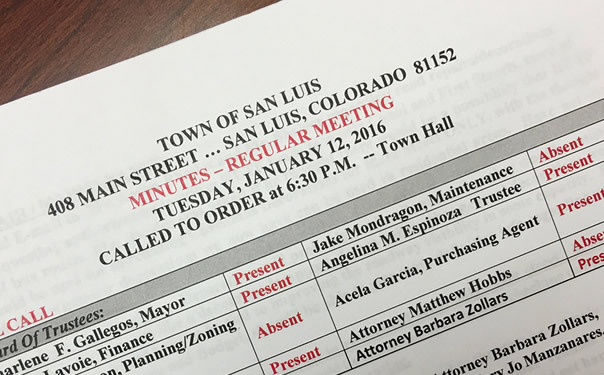 If you have a subject matter to address with the town council please visit the San Luis Town Hall at 408 Main Street to be placed on the next meeting's agenda or call 672-3321.